Condemning the attack on an IIT-Madras PhD scholar by some students protesting against a "beef fest" held on the campus, Communist Party of India (Marxist) CPI (M) leader Sitaram Yechury questioned the Centre if the government will decide as to what people should eat and what not? "It is not mandatory to follow every notification which comes from Centre as this matter is a state issue. So after this amendment, does the government decide as to what we should eat and what not? 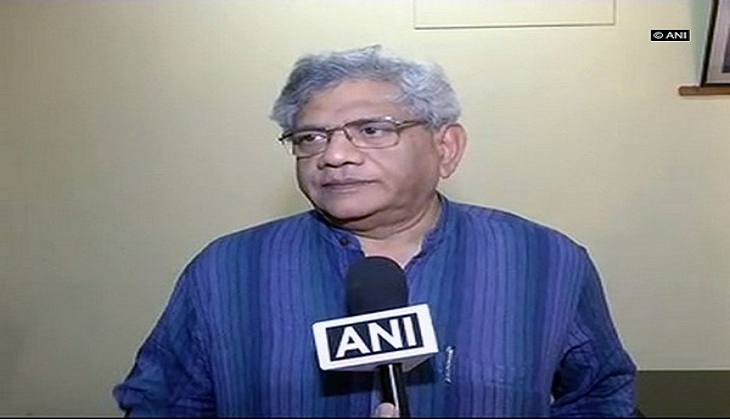 We want this government to look into other serious matters concerning the country not this," Yechury told ANI. Earlier on 31 may, Kerala Chief Minister Pinarayi Vijayan requested his Tamil Nadu counterpart Edappadi K. Palaniswami to take necessary action in the attack on the scholar. Taking to social media, Vijayan, in his Facebook post said, "It was unfortunate that Suraj, a malayalee PHD student was assaulted in the IIT campus Chennai for participating in beef fest. Our constitution grants rights to have food of our own choice. Any act of intolerance is the violation of our constitutional rights." The scholar was thrashed by a group of students on 30 may, reportedly because he had led 29 may's "beef fest" at the IIT-Madras (Indian Institute of Technology) campus against the Centre's cattle trade rules last week. At the fest, around 80 students reportedly discussed the Central government's recent ban on sale of cattle for slaughter at cattle markets and ate beef as a mark of protest. Slaughter of cow and calf is banned in Tamil Nadu but there is no bar of slaughter of buffaloes, ox or bull. The incident took place at the hostel mess around lunch when Sooraj R was asked by another student why got involved with the " beef fest". Around the same time, five-six other people surrounded Sooraj and started beating him up. Sooraj's received injuries in his right eye and was taken to hospital by his friends. Later, a group of students protested outside the institute campus against the violence. Nine people have been booked so far in the case.